We provide a services and software platform that surgery centers need to thrive in an environment of tougher reimbursements, high operating costs, technology complexity and increased regulation. Helping your center maintain paperwork and comply with standards. From setting up contracts to submitting application forms to insurances, our dedicated team will help you get credentialed with insurances. We identify top carriers based on location and the type of services you provide and initiate credentialing process on your behalf. This ensures predictability and profitability from day one. We coordinate and negotiate with Third Party Administrators on setting global contracts for services provided. Establishing global contracts result in better reimbursement rates and provide consistency with payment patterns. Reporting service quality data to state health registries is a measure for centers to demonstrate credibility and it is a mandate in some states. For example, in New York state, it is obligatory for outpatient surgery centers to submit quality data to SPARCS and HCRA reporting systems. We have automated process for gathering, consolidating and submitting data in SPARCS compliant format for centers and we help ASCs to report the HCRA component to NY state. We can work with your center to understand your state’s quality requirements and do it on your behalf, so you can focus on your patients. Physicians have to update and re-attest their CAQH profile every three months. We consult, send reminders and maintain the database on your behalf whenever required. We work with centers towards developing quality protocols and undertake internal audits. If your center is audited, we can help you through the audit process and meeting regulatory requirements. If you want to identify process gaps, we can conduct quality drills to help you get a complete picture of your business. We believe the revenue cycle starts even before medical services are rendered and therefore a lot of our focus goes behind pre-visit activities. We help you control your patient receivables by generating and sharing patient liability reports regularly. This process helps us track and study outstanding balances and helps your center push for pending balances from the patients at the time of next appointment. This practice controls the patient owed amount and keep the accounts clean. Bring predictability and profitability to your business. We benchmark ourselves at submitting claims within 48 hours from the date of service. This accounts for a consistent revenue cycle and a regular cash flow. We do this by using intelligent scripts that automatically extract CPTs and ICDs from super bills, check coding compliance, modifier usage and enter them into a Practice Management System. The otherwise monotonous task of manually entering charges is replaced by automations while ensuring greater efficiency. This saves us time and resources to do more. We have crunched our expertise and knowledge into executable actions in the maximum possible areas of the revenue cycle management. This includes charge entries, eligibility verifications, online claim status and quality checks. Prior to submitting claims to carriers the claims are scrubbed across a proprietary rules engine to verify accuracy and flag inconsistencies – this is the first tier of quality analysis. After scrubbing, the claims are again verified manually line by line – this is the second tier of quality analysis and it helps us achieve a first pass ratio of greater than 95% upon first submission. It is crucial for centers to keep a track of denials. We follow daily denial management process to ensure claims reconciliation as quickly as possible. Our teams are cohesively tied together. Whenever a denial is encountered, it is flagged and instantly sent to the accounts receivables team for resolution. Both the teams are in constant coordination with each other until proper denial resolution is achieved. This avoids accumulation of accounts receivable, reduces A/R days and increases collections. With each additional day from the date of service, it becomes more difficult to get reimbursed. As crucial as it may sound, some centers typically decide on day/s of the week to work on denials. By this time some claims already enter the 60 or 90 day buckets and it gets tough to recover the balances. Depending on insurance, we follow up on claims as early as the fifteenth day from the date of service. This enables us to get accurate status on claims and gives us a head-start in resolving those denied and predict revenues for the practice. Receive payments quickly and electronically by directly connecting with insurances. We constantly work and coordinate with clearing houses and carriers to set up Electronic Remittance Advice (ERA) and Electronic Fund Transfer (EFT) utilities with all possible carriers. Setting this infrastructure ensures quick payment reconciliation and accurate revenue projection. Our team checks payment gateways everyday and reconcile electronic payments as soon as they are received and balances are matched on the same day. Manual payments are posted in batches as and when received. Pending patient balances are applied and adjusted regularly to avoid accumulation of unapplied payments. Apart for these, we also update and assist centers on payment recoupment and reversals. To ensure noting is left on the table, we regularly generate an outstanding patient balance report to identify precise patient balances and delinquent accounts. We share this report with you and determine a course of action to recover balances. We provide suggestions on payment plans, discounts and recovery methods to best collect pending balances. We work together with your center to device a process for generating and sending balance statements to patients immediately after patient balance is determined or after insurance portion is settled. This increases the chances of payments from patients. There are scenarios where insurances process payments directly into patient accounts. In such cases, we coordinate with your center to outline a action plan. A typical action plan may look similar to this: A letter explaining the date, time and type of service rendered; followed by regular phone follow ups. For delinquent accounts we collaborate with the center and coordinate with collection agencies in our partner network for recovering overdue patient balances. Patient receivables is a major roadblock with most centers and groups. We aggressively pursue outstanding balances. Our follow up process is a blend of regular statements, phone calls and send-to-collections warning letters. A certified clinical and administrative platform for managing your entire ASC. Document and comply with every angle of performing a procedure. enki ASC EHR’s surgical safety module is a checklist that documents crucial patient information prior to induction of anesthesia, start of the procedure and required guidelines before transferring patient to PACU/Recovery room. Surgical safety checklist becomes a part of the patient record and is a fundamental of the detail and quality of care provided. Track patient’s recovery status with enki ASC EHR’s post anesthesia record management module. Document the procedure summary, post procedure vitals, Aldrete score to check if the patient is fit for discharge, site appearance and other vital information. This module forms the basis for deeming the fit-for-discharge status of patients. enki ASC EHR’s cloud based endo writer integrates with endoscopes to transmit real time procedure video directly into the endoscopy modules within the EHR. You can then capture and annotate virtually unlimited procedure images for clinical specificity. The endo writer automatically builds contextually relevant and clinically pertinent medical cases within minutes using Minimal Standard Terminology (MST) guidelines. The module is designed to automatically integrate procedure images within the operative note to create genuine cases every single time. Capture surgery specific medical information quickly and accurately. Pre-op nursing module in enki ASC EHR handles clinical and administrative documentation so you can focus on your patients while ensuring compliance. enki ASC EHR is a certified cloud-based, mobile platform that is available on the web and on the iPad. It lets you access patient records, procedure notes, and schedule from any platform. Create a medical note on the web and it can be seamlessly accessed on an iPad. The system is upgraded automatically. There are no additional setups or hardware investments thereby, eliminating the need for a dedicate IT personnel. enki ASC EHR gets you mobile and gives you the peace of mind you deserve. Easily generate real time administrative reports such as nursing staff and facility utilization reports, scope usage distribution/allocation reports or clinical reports across multiple datasets. enki ASC EHR creates multiple useful reports that measure overall health of the center. Compliance dashboards automatically calculate your Meaningful Use measure scores and can be referred to throughout your reporting period and after. Track resource utilization using the custom scheduler for staff and anesthesiologists. enki ASC EHR’s smart scheduler lets you manage resources efficiently by assigning them appointments throughout the day as per availability. Appointment overlap indicators can be easily generated to avoid last minute confusion and chaos. The scheduler integrates with different platforms via HL7 standards, so you can plan your day well in advance. 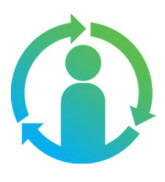 enki patient portal offers great flexibility to patients by providing them electronic access to their medical records. It’s secure and tightly integrates with enki EHR. You can share visit related notes with your patients with a single click. Patients can access their past medical records, visit summary, history of medications, allergies and additional educational resources directly. They can also view and request for appointments directly via the portal. The patient portal is synchronous with the web and the iPad versions ensuring data is always current. enki ASC EHR’s pre-op and post-op call records module tracks and documents crucial communication between you and your patients. The module records detailed logs of appointment reminders, summary of pre and post procedure health status of the patients based on the type of procedure performed. From an administrative perspective, the names and notes of the associated callers can be logged for tracking and quality purposes. The entire enki ecosystem gives you control over information from the outside as well as inside. From the outside, enki implements industry standard 256-bit data encryption and AES SHA-2 encryption algorithm to safeguard patient information. From the inside, access to each and every module can be controlled, thereby only the relevant patient information is presented to relevant users. Custom role assignment at user level regulates the way data flows through the EHR. Deciding to merge with another surgery center or planning an acquisition can be an overwhelming task. We can help you with the right advisory recommendations to ensure the process is seamless for either entities. Our team will help you avoid billing disruption by analyzing financial and technological timelines such as studying patient volume reports, procedure diversity, payment models, EHR and practice management setups, receiving common submitter ID from clearing houses, setting up ERAs/EFTs and establishing connections between different software systems if needed. The center’s primary objective in working with NextServices was to control their overhead costs. Not only did we increase their profitability but also implemented a rigorous billing process that would help stay compliant in the years to come.